Tech is Big - Everywhere we looked, manufacturers had found ways to incorporate technology into both new and traditional toys and games and/or link toys and games to iPads, smartphones, etc. No way around it, we live in a world of technology that's reaching even our smallest kids' toys. 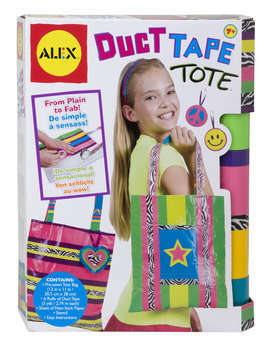 Duct Tape is all the Rage - Manufacturers like Creativity for Kids, Melissa and Doug, and Alex Toys have created all sorts of kits where kids use duct tape to make braceletes, totes, wallets, and anything else they can imagine. For an example, see our Duct Tape Tote. PlaSmart's Perplexus(TM) Epic - This award-winning, fixed-track, 3-Dimensional marble maze game was a best seller last year, and we predict it will be again this year. It won the 2013 Game of the Year award by the Toy Industry Association and was also awarded the Parent Tested Parent Approved Media Seal of Approval. Educational Toys are Hot - Educational toys LeapPad2(TM), Doc McStuffins "Time For Your Check-Up" Doll, and LEGO(R) Friends all won awards at the Toy Fair. For value-minded parents and parents focused on development and academic preparation, these toys will continue to be popular. Say Good-bye to traditionally defined Boys and Girls Toys - This year's toy fair saw building blocks in pink and packaging with little girls and baking sets with photos of boys, reflecting society's recognition of equality and the need for core educational and developmental skills for boys and girls. Classic Toys Making a Comeback - As parents try to recover their lost youth and fond memories, classic toys are making a comeback. Manufacturer's embraced tried and true toys again this year, so you'll see them on the shelves frequently. 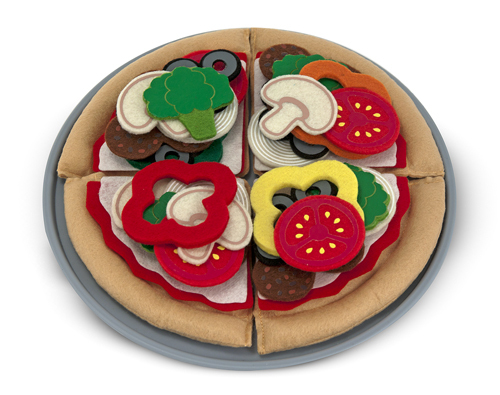 Role-Play and Creative Toys - Toys that are open-ended and allow kids to role play real life or pretend they are making food, designing new fashions or performing are likely to be popular this year. Building Toys See High Growth - Building toys saw significant growth in 2012 and that trend seems likely to continue in 2013. These toys go beyond blocks and include licensed figures, new colors (like pink) and new sets that appeal to girls as well as boys. Action Figures, Zombies, and Superheros - Leveraging a number of popular and recent movie releases and TV series related to superheros and zombies, action figures based on these licenses will be found in large numbers this year. Watch for the Collectibles - These toys with their low price points and associated online games or TV shows are sure to attract children who like to build collections of toys. These will be popular again this year.